Caltrans plans a series of highway closures this week for major construction on Interstates 5 and 805 and at the Otay Mesa East Port of Entry. 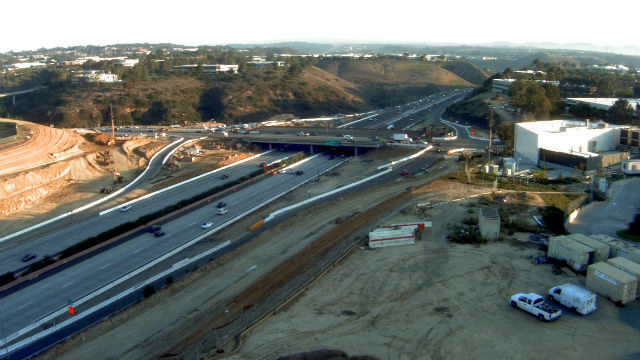 Southbound Interstate 805 will be closed from the merge to La Jolla Village Drive Tuesday through Thursday from 9:30 p.m. to 5 a.m. The closures are needed for bridge widening in connection with express lanes construction. No closures are planned on Interstate 5 south of the merge, though heavy construction work is in progress. Work continues on Interstate 5 through Camp Pendleton. The highway will be reduced to one lane Tuesday through Thursday from 8:30 p.m. to 5 a.m., and from 9:30 p.m. to 8 a.m. on Friday and Saturday. The westbound State Route 905 off-ramp to La Media Road will be closed weekdays from 6 a.m. to 5 p.m. through Sept. 18 for work associated with the Otay Mesa East Port of Entry project. Motorists should expect delays during work hours and should check Caltrans’ online map quickmap.dot.ca.gov for the latest freeway traffic information.